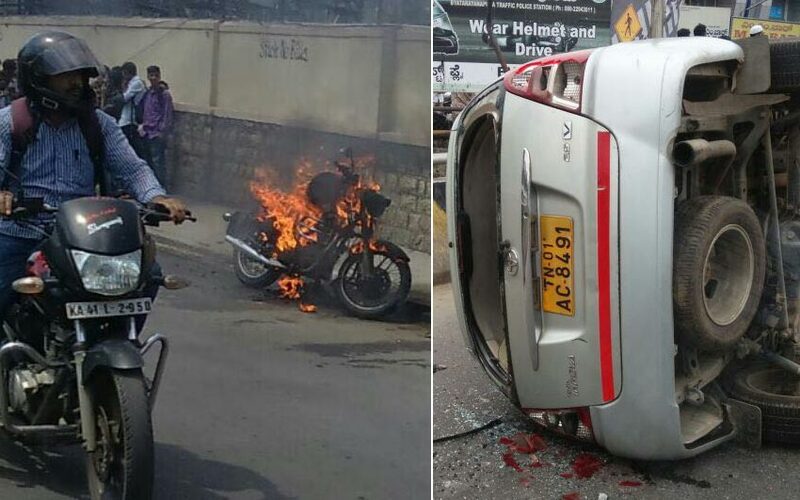 Bengaluru: The Pro-Kannada activists spreads the violence over the Bengaluru and Mysore, Karnataka. 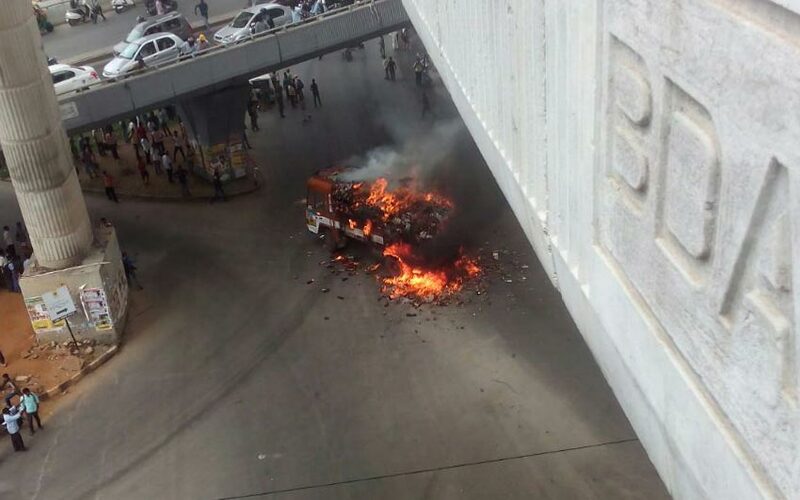 The Tamil Nadu Registration vehicles have torched. Some news Channels is telecasting the Live incidents from Karnataka. The Chief Minister of Karnataka, Siddaramaiah writes a letter to the Tamil Nadu Chief Minister Jayalalithaa over violent protests. The Word and India Talking widely about this on Social Media along with the Hashtag of Cauvery Issue. Some of the Schools in Bengaluru has closed early Today on Monday. Some Muslim people can’t able to celebrate their Today’s Festival Eid al-Adha. The Metro service has also Stoped after the fresh protests. The Bus Services from Bengaluru to Tamil Nadu has also suspended temporarily. The Bengaluru Police Officially said that “The 15,000 policemen and officers have been deployed all over the city of Bengaluru. Especially for the Tamil People areas such as Indira Nagar, KR Nagar, Prakash Nagar, Frazer Town, RT Nagar, Tanary Road, Hegde Nagar, Sri Rampura and Kalasi Palyam. Protesters vandalise lorries bearing Tamil Nadu registration numbers near Hubli Bypass, Karnataka. Metro services are currently suspended. The Bengaluru City Police said “As A Preventive Measures “NOW” Section 144 Prohibitory Order Has Been Clamped In Bengaluru City !” on 05:18 PM Today due to the Cauvery Issue. As a preventive measure, Section 144CrPC is imposed in Bengaluru City from 1700 hours today. The Bengaluru Police imposed the Section 144 in Bengaluru City after 5 PM today.